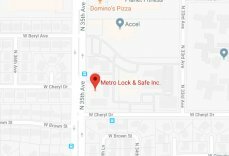 Gun Safes Phoenix | Local 24 Hours | Metro Lock & Safe Inc.
With a wide range of available gun safes, Phoenix residents can have difficulty identifying which one is best for them. Instead of trying to do it on your own, call Metro Lock & Safe Inc. to speak with one of our gun safe experts. We can help you figure out which safes are going to provide the right protection for your firearms. If you own guns, you know that they can potentially be dangerous if they fall into the wrong hands. There are hundreds of cases of accidental gun deaths in the U.S. each year, so proper protection for your firearms is critical to preserving your safety and that of your family. A gun safe is one of the best ways to secure your guns. Protect your family with our gun safes. If you’ve never purchased a gun safe before, there are some important points you should consider. Lock Type – First, you need to identify what kind of locking mechanism you want to get. There are a myriad of choices out there, including digital locks, combination locks, key locks, and even biometric locks. Each offers a different level of security, and the right choice is one that gives you access when you need it but keeps access out of the hands of unwanted individuals. Gun safes Phoenix gun owners benefit from the most protect firearms from theft and unregulated access by family or friends. Use Needs – What you need depends on your unique situation and intended use for the gun safe. Each case varies and a gun kept for home protection has different use requirements than those kept for hunting or sport shooting. Pairing the right safe with the right firearm provides you with safety and access. Safe Size – Size is another important consideration, particularly if you have and need to store large guns inside. You want to choose something that accommodates your current guns, but has the size you need if you plan on expanding your collection. This can save you from needing a safe upgrade sooner than you would like. Fireproofing – Finally, some gun safes come with options for fireproofing which can be beneficial in case your home ever catches fire. This is especially important for the Phoenix area. 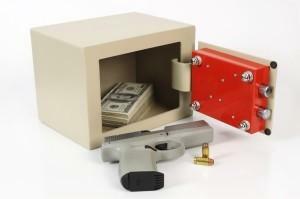 Gun safes Phoenix homeowners rely on should provide protection for your items as well as ammo. A fire can set rounds off, creating a hazard for occupants both in and around a property. Get Gun Safe Services you can depend on. When it comes to gun safes, Phoenix gun enthusiasts shouldn’t have to shop around for services. 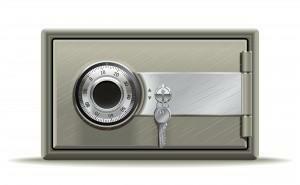 Many owners already have safes in their homes or businesses. These may require servicing, repairs, or replacements. Whether you’re getting a gun safe for the first time, or need services for a current safe, our technicians deliver. Our certified gun safe technicians are experienced working with all makes and models, and can work with any lock type. Call (602) 663-9828 or Contact Us today and get great service from experienced technicians no matter what you need for your gun safes in Phoenix.